Keep an eye on “Randy’s Favorites” for his best ideas and creative insight on a variety of subjects! He’ll talk about stylish home decor and gardening how-to’s, or share trivia on day-to-day sustainable living. You might find his favorite new restaurant, a must-have new product or a chic new wedding trend. Or, maybe just his thoughts about what’s going on around Greensboro and elsewhere in the universe! ~ Offer to collect old coffee grounds from your local coffee shop (they’ll be happy to get rid of them!) and spread them around your garden to enrich the soil. Are you facing unpleasant pet smells in your car? Place a dish of coffee grounds in a dish overnight to absorb the odor. 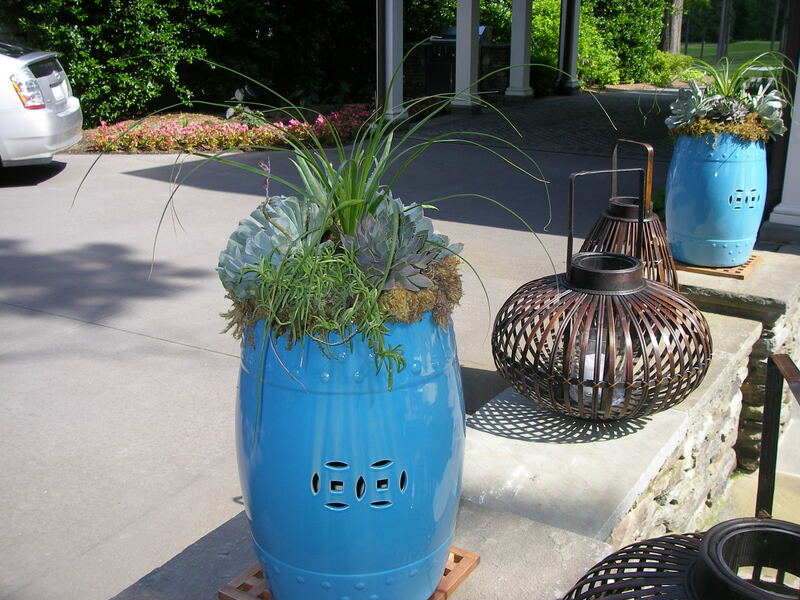 ~ When moving “sweaty” terra cotta pots indoors for the winter months, place everyday, stainless steel burner covers underneath the messy pots. They don’t sweat and they do hold water. ~ While pulling up annuals and trimming perennials to ready them for fall and winter, think about an alternative to planting pansies. 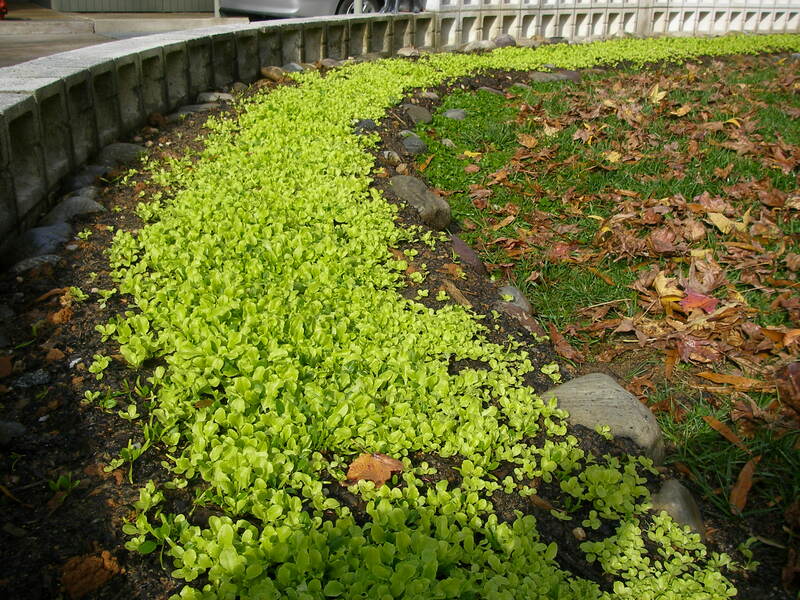 I recently planted lettuce and spinach in my own yard and am happy to report a beautiful marbelized mix of chartreuse and dark green — pretty to look at and right there when I’m ready to pick them to add to a favorite dish! Lettuce planted in Randy's yard. 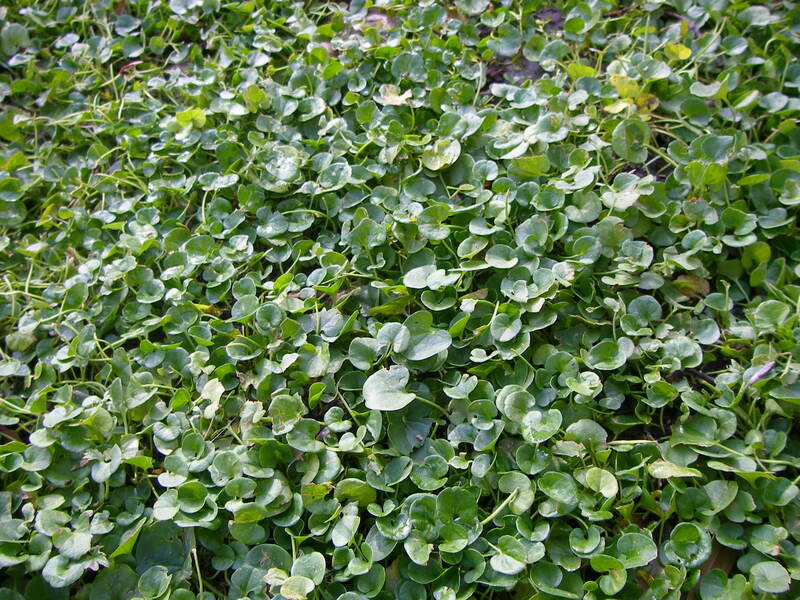 Dichondra is perfect for beds or between stones and walkways. ~ Squeeze in time to do something nice for yourself, even at the least likely times. This past Halloween I applied a mud mask to my face just before giving out candy to trick-or-treaters … something good for my skin and quite a scare for my young callers, who thought it was cool that I had created a scary mask for the occasion! 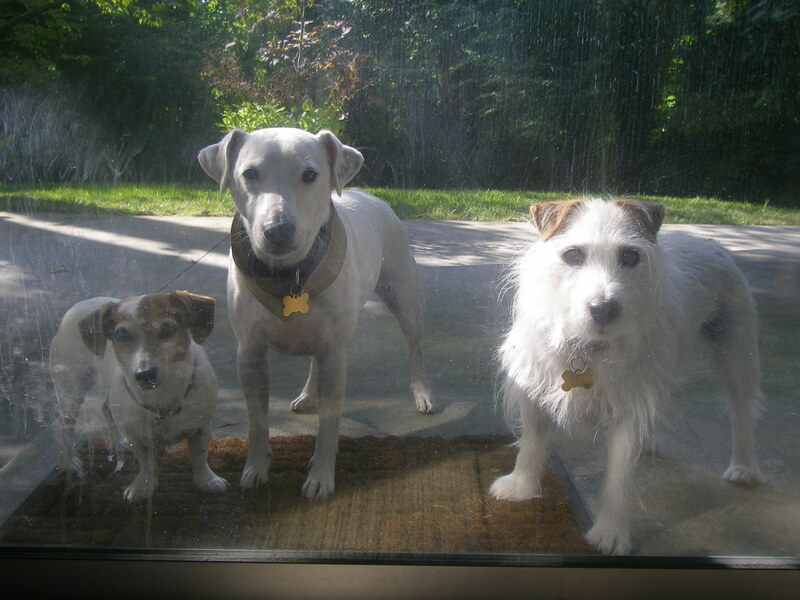 – It’s no secret that we love Jack Russells! And these clever, energetic dogs are perfect companions to keep rabbits, chipmunks and other critters out of your yard and away from what you’ve worked so hard to plant in the garden! 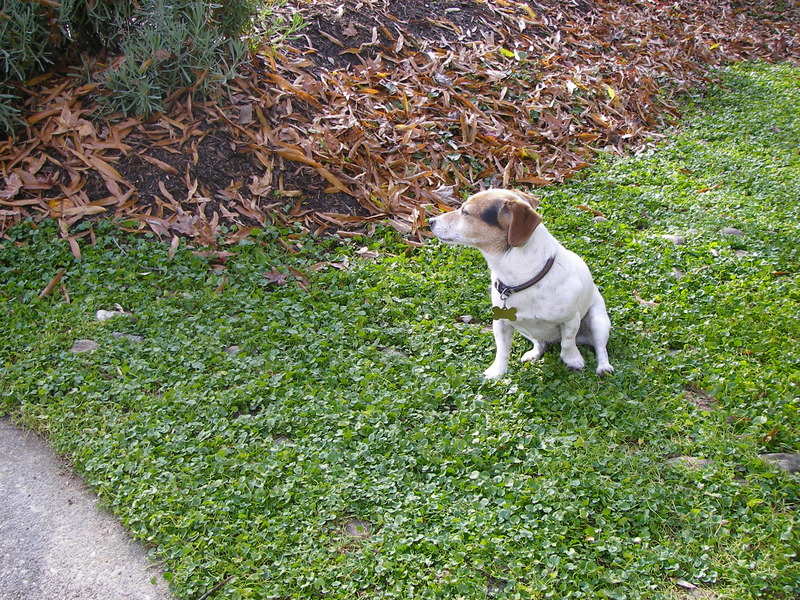 Frida keeps an eye on Randy's dichondra. Frida, Nate and Hopkins: garden warriors! 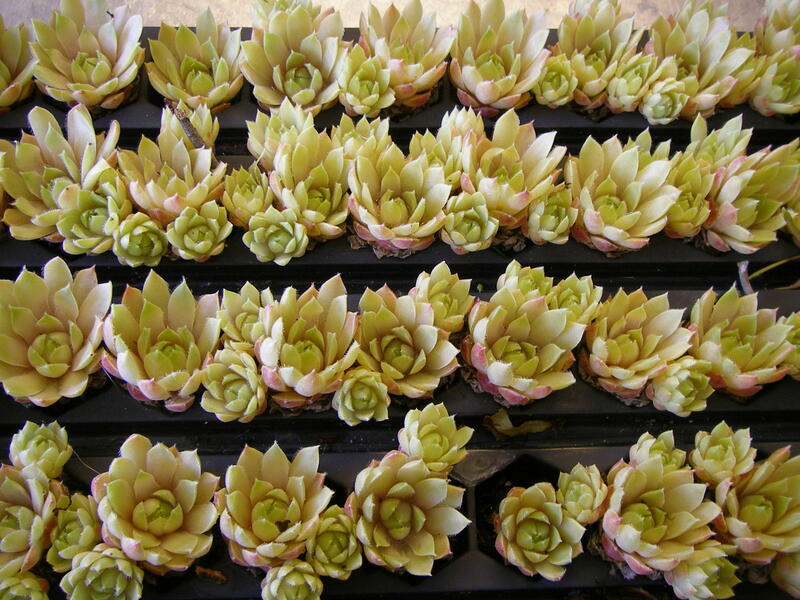 -Take a look at another of my favorites: succulents! They are beautiful and versatile … I’ve used them on my roof at the mountain house, in my garden, for wreaths (which also make great centerpieces with candles in the middle), as underplanting and any almost any type of pot! 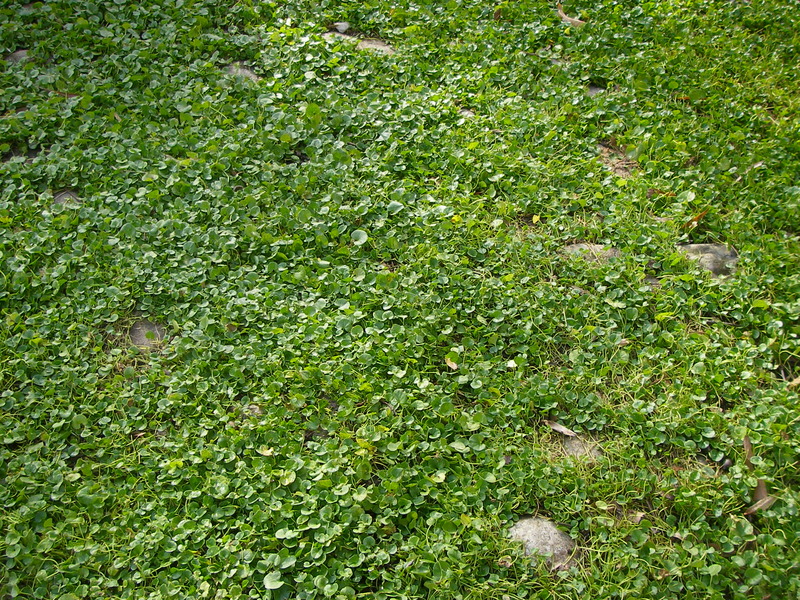 They’re also year-round plants, ideal for a variety of climates. The large photo below is at my mountain home. 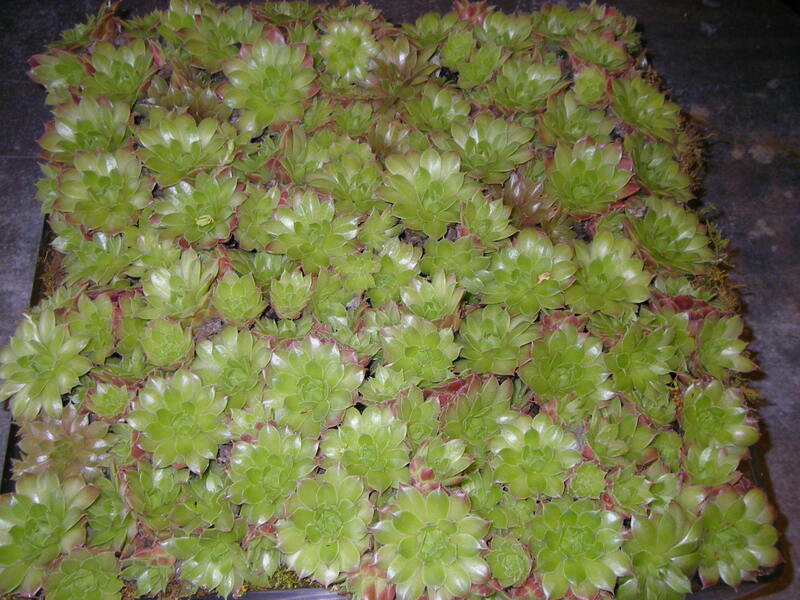 Beautiful succulents are easy-care, low maintenance options. 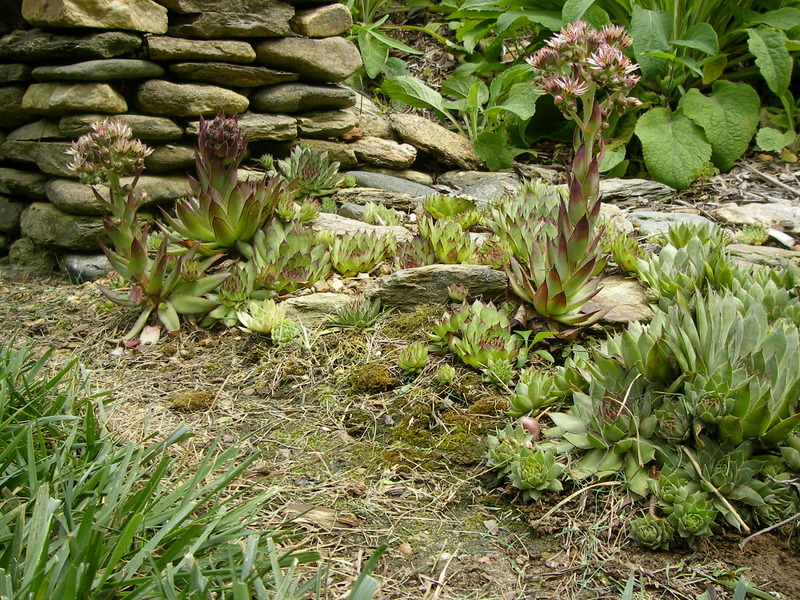 Succulents planted in the ground, ideal for year-round climates. Creating a sophisticated party for a young girl somehow always leads to the color pink. Doing this Bat Mitzvah at the Greensboro Country Club is no exception. Randy mixes roses and hydrangea that both the young and the less young can enjoy.